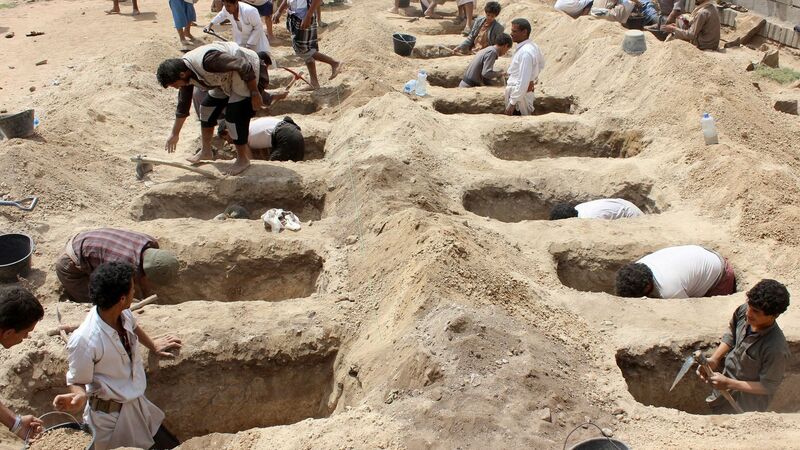 The Saudi-led coalition will be investigating the strike in Yemen on Thursday that killed and injured dozens of civilians, including children, according to the Saudi-funded news outlet Al Arabiya. Be smart: Saudi Arabian King Salman pardoned "all military men" involved in Operation Restoring Hope in Yemen last month, clearing them of "military and disciplinary penalties," so it's unlikely this will result in any repercussions. Last year, the coalition said it would investigate strikes that led to civilian casualties and ultimately cleared itself of wrongdoing. U.N. Secretary-General António Guterres has called for an independent investigation of Thursday's strike.